Wrapping up the BOS top 25 albums of 2008 with the top ten. It’s the end of the countdown but stay tuned for some addtional thoughts on 2008 coming in another post real soon, plus lots of great music on deck for 2009.
can buy it directly from Rachel via her Myspace page. Take MMJ’s catalog and throw it into a blender with a big batch of those K-Tel hits of the 70’s records and I imagine this is pretty close to where you’ll end up. Not as thematically consistent as some of their earlier records but the success level in the adventurousness pays off more often than not in what ends up sounding like and indie rock version of AM radio gold. Some of the highlights on the buffet include the weird funk experiment Highly Suspicious,the pure sugary rush of Two Halves, and what is one of the best songs of the year in the beautiful, acoustic, Librarian. 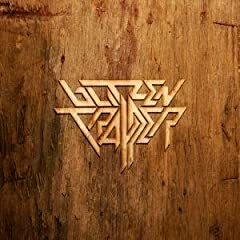 More refined and focused than their breakthrough Wild Mountain Nation,Blitzen Trapper have taken the Grateful Dead meets Pavement mix to the next level on this one, solidifying their influences into thier distinct sound. The title track with it’s storytelling of a boy raised by wolves grappling with his human emotions is an instant classic. Who’d have thought this would work so well, actress decides to be singer is generally the making of a one off disaster(see Scarlett Jo) but this is an addicting listen steeped in a mix of California harmonies and sixties girl group sounds. 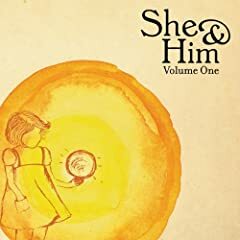 Zooey Deschanel and M Ward cooked up a winner here for sure here’s hoping there’s a volume 2. 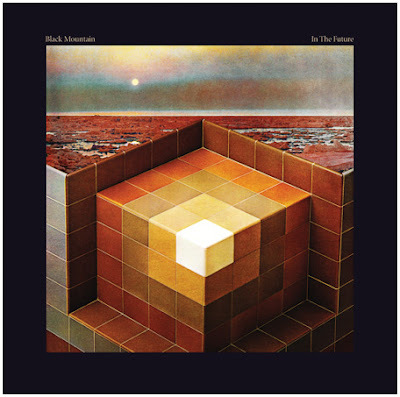 Expecting more of the immediacy of songs like Modern Music or No Satisfaction I have to admit I was a bit disappointed with the first couple listens to this, thinking it was more Black Sabbath than Black Mountain,not that there’s anything wrong with that, but it’s so much more. Picking up where songs like Druganaut left off and taking them to the next level, capped off by the epic 16 minutes plus, Bright Lights. The show I saw them do back in February with Bon Iver opening was probably the best show I saw in 2008. 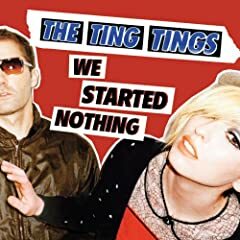 Sure this is probably more style than substance, but it is hands down the party record of the year, when was the last time you heard a record where every song had enough hooks to be a single. As they used to say on American Bandstand, “It’s got a great beat, and you can dance to it”. Catchy, fun, danceable, and just try not to sing along. If you’re like me and only really had a passing interest in Of Montreal, now’s the time to change that. 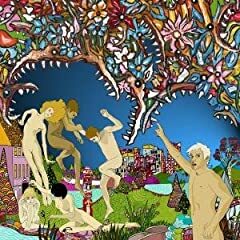 This album is a mix of sexual confusion,funk and dance music, and Sergeant Pepper like psychedelia all blended together in a dizzying mashup that makes Girl Talk‘s Greg Gillis seem like an amateur, yet it somehow all holds together as a whole. As a musician it leaves me amazed just wondering how someone can get that far out there for inspiration and then be able to realize it as a finished work. One Of Philadelphia’s best bands right now, this record best described is psychedelic folk music with and indie prog rock twist. Shimmers of sixties and seventies folk and psychedelia are as prevalent as eighties and nineties indie rock. Like all great artists these are just touchstones in a clearly unique and individual sound. 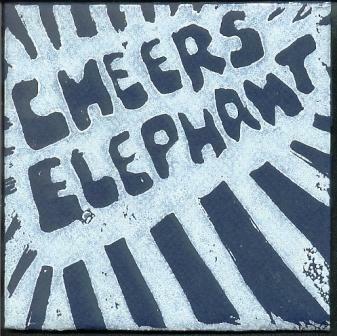 This was an early 2008 demo, Cheers Elephant releases their first official CD in a couple weeks watch for it to be turning heads early in 2009. 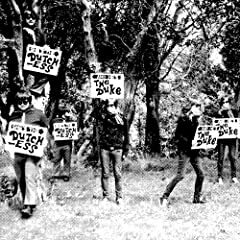 The Dutchess And The Duke’s, debut full length She’s the Dutchess, He’s the Duke careens along in it’s lo-fi immediate glory like a combination of Bob Dylan, The Mamas & The Papas and early Rolling Stones swagger. With the familiar warmth of a lost 60’s classic and the jagged edge of a modern recording, everything old is new again and sounding better than ever. Kimberly Morrison(aka The Dutchess) and Jesse Lortz(aka The Duke) holed up last fall at Magical Basement Studios in West Seattle with Bryan Standridge behind the board of an 8- track and recorded a modern folk classic. It’s chock full of strummy acoustic guitars and percussion with more than enough pure pop melodies and sing along vocal harmonies to have you hooked after just one listen. The album I listenedd to more than any other this year, I was hooked on this from the first play back in June of this year and it’s still in the heavy rotation six months later. 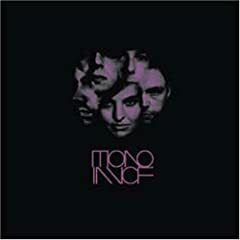 The name Mono In VCF is a combination of Phil Spector’s Wall Of Sound(Mono) and Moog Synthesizer tones(VCF) and their music has been described as “Drifting in space between psychedelic Beatles and Massive Attack” by Tom Scanlon of The Seattle Times. It is music that is sweeping,cinematic and serenely lush sounding, all woven together by the silky smooth, soaring vocals of Kim Miller. What I previously described as “fearlessly futuristic and reminiscient of the great film soundtrack music of the sixties all at once”. It’s music with the power to take your mind to another place away from all the distrations around you, similar to the the sensation of flying in a dream but converted into sound. A few pictures from last nights dazzling, sold out Black Mountain and Bon Iver show at Johnny Brenda’s in Philadelphia. Bon Iver‘s hushed acoustic numbers took on an even greater intensity as they opened with a set that held the audience in silent rapture for the whole thing. It reminded me a lot of the shows Ryan Adams used to do with just himself and a guitar in his early post Whiskeytown days. A powerful quiet intensity. Black Mountain then turned it around 180 degrees with their thundering psychedelic juggernaut of sound. Playing a set consisting of mostly material from their new In The Future disc and closing out with a blistering encore of Don’t Run Our Hearts Around from their first disc. A stunning live band not to be missed if their tour comes near your city. Check out more photos from SinABox Camera along with Carly’s excellent writeup of the show over at Girl About Town. Some photos from last night’s show at Johnny Brenda’s in Philadelphia. The Cave Singers took the stage around 10:30 and played an enjoyable set of the quirky indie folk that stayed pretty true to the sound on their new record Invitation Songs. I didn’t manage to get any pictures during their set, sorry guys. Taking the stage in Philadelphia for the first time in nearly two years, Black Mountain was on next. They played a set heavy on new songs from their upcoming record, In The Future, which if last night is any indication, is going to be excellent. Their set was a rhythmic, ebbing and flowing juggernaut of psychedelic power. A mind altering experience with or without any help from your recreational substance of choice. One of the best shows I’ve seen this year, and if they haven’t been to your town yet , I highly recommend checking them out. Here’s one I’m really looking forward to. I’ll be catching them live next week at Johnny Brenda’s In Philadelphia. If they’re coming your way you should too. 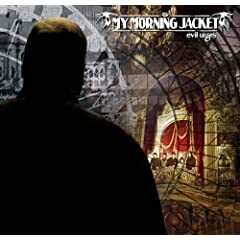 Here’s a great song from their first record to enjoy while you read about the new one. You can check out live previews of the album wherever the band is performing this month and into the next. 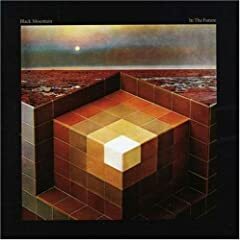 Go to http://www.blackmountainarmy.com/tour.php for a comprehensive list of tour dates for Black Mountain (or see below). Also, let this be a reminder that the band will be taking along with them a very special tour-only record, which includes a digital download coupon that will provide a preview of the upcoming full-length on November 13. 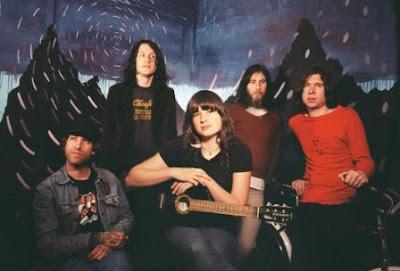 Black Mountain are about to go on their first North American tour in almost two years. Their self-titled disc was one of the best of 2005. And make sure you start saving up your pennies, because they will have a new album coming in early 2008. Oh yeah. With the Fourth Of July, Independence Day Holiday upon us shortly, today for 5 on A Friday we put a Bag Of Songs spin on freedom and being free. Something we here in the USA often take for granted, but around the world people are still dying everyday in their struggle to achieve it.